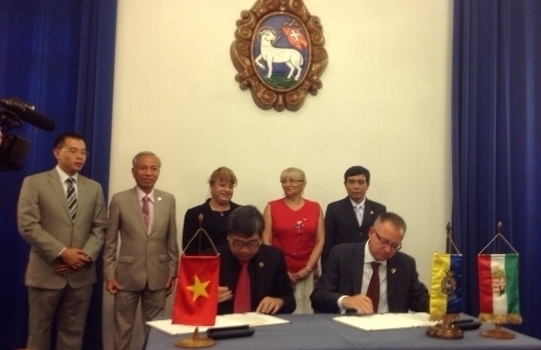 On Aug 20 – the Independence day of Hungary, at 11:00 am (16:00 GMT+7), The friendship signing ceremony between the two cities of Hoi An and Szentendre officially took place with the presence of Mr Nguyen Viet Khue - The commissioner (Vietnamese Embassy in Hungary), Mr. Le Van Giang, Chairman – Hoi An People’s Committee and overseas national. 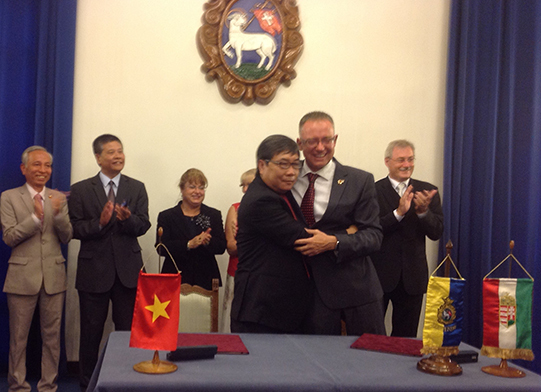 On Hungary’s side, there is the presence of the Hungarian Ambassador to Vietnam, Mr. Laszlo Vizi – Former Hungarian Ambassador to Vietnam who laid the foundation of this relationship, the Mayor and the officials of Szentendre city and Mr. Rudolf Riedl – Managing director, AsiaCenter (Budapest). 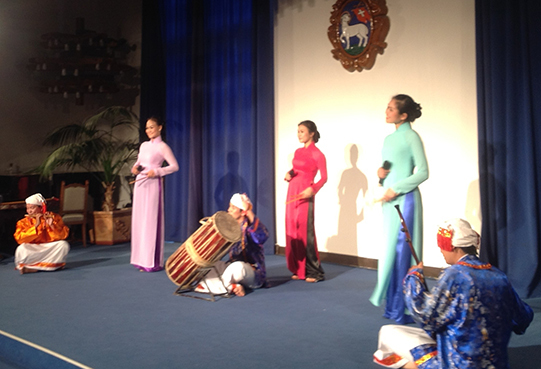 Mr. Vo Phung, Member of Hoi An delegation – Director, the Center for Culture and Sports said that “Righ after the ceremony, the unique tradition show with seven different items such as Hoi An bingo game, Cham dance, Hungarian folk song,.. performed by Hoi An Art Performing Group has been highly appreciated by the audiences and the members of Vietnamese Embassy in Hungary.